Join FSI's exclusive network of successful dealers who have built a secure future for their families in the recession-resistant automotive aftermarket. Not a franchise, all profits are yours to keep. 100% financing is available for those who qualify. *Contact us today to speak to our financing consultant. If you qualify you can finance all or part of your exclusive dealership! *Financial investment assistance may be available if your credit score is 675 or higher, you are a U.S. Citizen, have at least $20,000 cash available to invest without borrowing, and if you owe less than $14,000 to credit card companies. You may qualify to receive up to $150,000 with pre-approval within 5 - 7 business days. This is not, however, a solution for borrowers with low credit scores and poor financial strength. The power of the Richard Petty brand. $100,000 first year profit potential. Enterprise class software package customized to each dealership. Not a franchise but a true dealership (No fees). All the profits are yours to keep. Exclusive territory studies by proprietary primary research (not available to the public). Commercial accounts receivable program - instant cash for start-up capital. Is the American Dream still alive? We think it is. Join the leader in the Automotive After Market industry. Become an exclusive dealer (only 1 per territory). 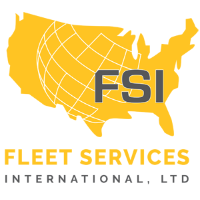 Fleet Services International (FSI) is the original and proven winner in the commercial on-site fleet maintenance & repair business with a spotless 40+ year record of executive level combined industry experience. Co-branded with NASCAR Hall of Famer Richard Petty’s, Petty's Garage. Fleet Services International offers a 100% financing plan to those who qualify plus an enterprise class software package with complete training. National alliances include NAPA, Autozone, CarQuest, Advanced Auto Parts, Valvoline and many more!